Over the past few years, medical experts and researchers have made great strides. And it’s not only in cancer treatment, which focuses on the condition; equally important are the treatments designed to improve the physical and mental well-being of cancer patients. One such treatment is guided imagery or visualization. Visualization entails the use of one’s imagination in order to manage or relieve symptoms. 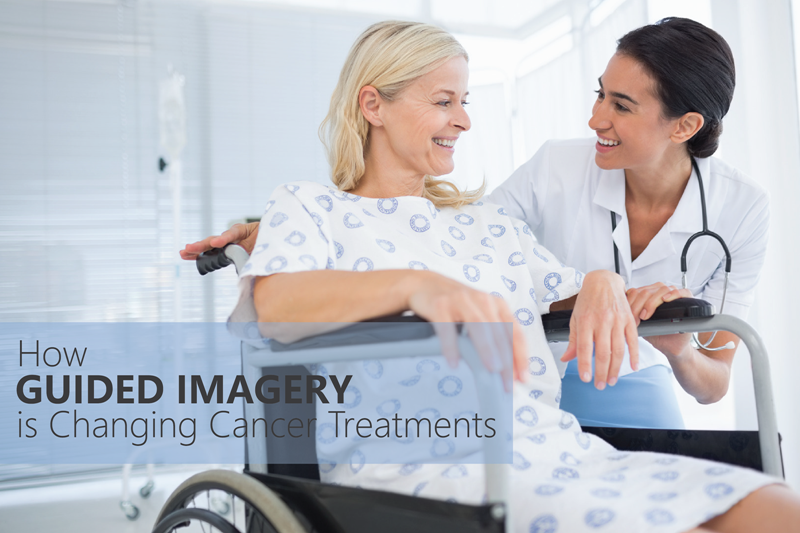 By bringing up certain types of images in one’s mind, you can attain relaxation, stress relief, immunity support and even healing from the associated side effects of cancer and its treatments. Visualization also entails the use of the senses of sight, hearing, touch, smell and taste. Through the aid of a therapist, the patient is asked to conjure a mental image that brings them peace or strength. The treatment can be conducted by the patient himself, with the aid of music files. This is ideal for patients who are bed-ridden or are still too weak to go outside. What do medical experts say about visualization? Because of the nature of visualization, it can be difficult for experts to gain a clear insight on its actual effects on a patient. Available studies indicate that visualization can help patients manage the stress, anxiety and depression they might be experiencing. Another study revealed that patients who use visualization techniques have lower breathing rates, lower blood pressure, lower pulse rates and higher skin temperature. All of these indicate a state of relaxation. Apart from the aforementioned benefits of visualization, a few studies indicate that patients who used this treatment improved their immunity. At this point, it cannot be said that visualization can cure cancer but it does improve the quality of life of cancer patients. And unlike other forms of treatment, visualization is practically free from adverse side effects. To date, no side effect has been reported by patients who practice visualization to complement other cancer treatments. Another advantage of visualization is that it costs practically nothing. Many not-for-profit organizations and cancer support groups conduct visualization sessions for free. Other organizations may ask for a nominal fee or donation. However, one of the best ways to learn visualization is through the help of a trained therapist. When you or a loved one starts with visualization, the therapist will help you choose images that will work best with you and your goals, whether you want to achieve a sense of peace and calmness or you want to feel stronger and ward off your fears about cancer.